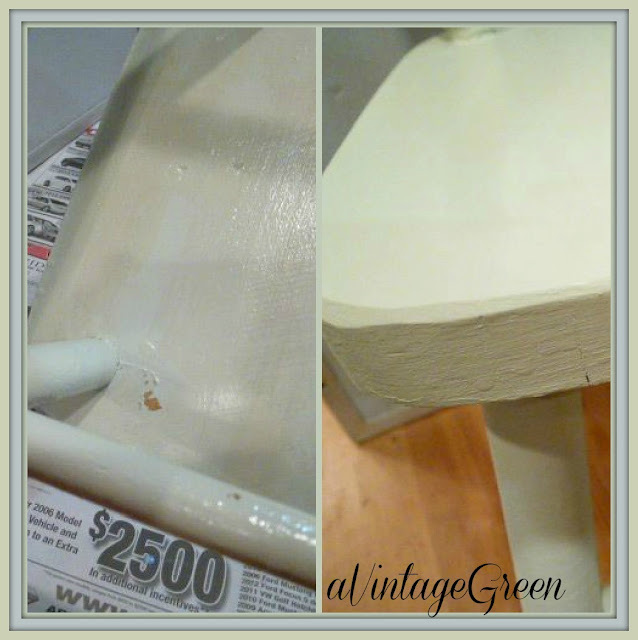 Chalk Paint is one of my favorite types of paint and I used it extensively on my furniture/frame/object d'art revivals. Easy to use, clean up, sand, and finish with wax or satin varithane. 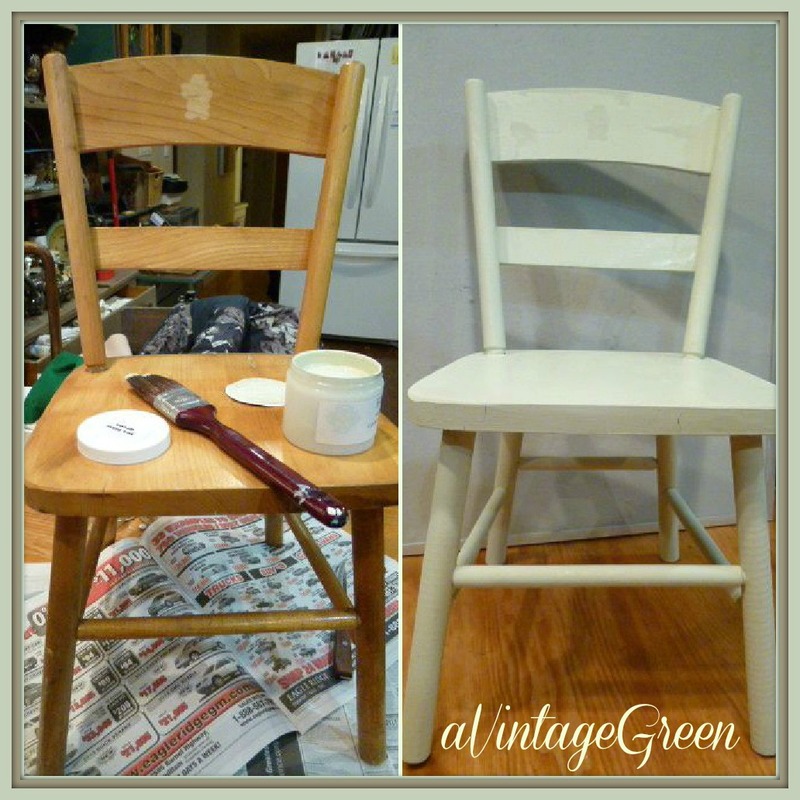 FAT Paint Sea Glass Green chalk paint (2 coats) and satin varithane on child's wooden chair (originally a varnish finish). 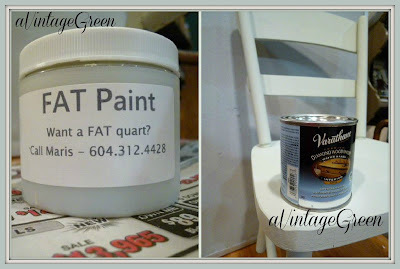 New to me: FAT Paint, a chalk paint made in NewWestminster BC. I love ASCP, CeCeCaldwell and my own homemade chalk paint and use all three types of chalk paint on my projects, usually based on what I have in stock. 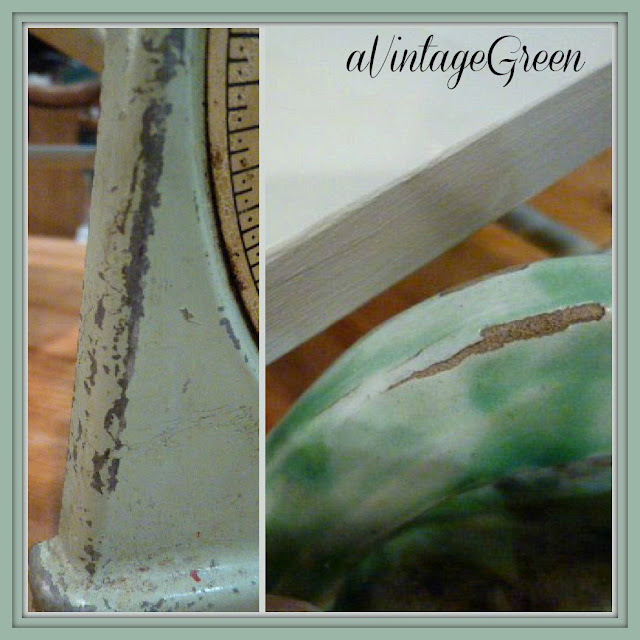 This green goes well with two vintage items I've blogged about in the past. Check here to see what they are. I finished with satin varithane (a bit too soon in a couple of spots, just like all other chalk paint if it isn't dry). The chair seat edge is fairly accurate shade of Sea Glass Green. A final view of the Child's Chair (Sea Glass Green FAT Paint). How did I discover FAT Paint? Maris of Rescued and Restyled Home Decor (Facebook here) dropped off two samples of FAT Paint at Village Antiques Mall this week and one was given to me to try, Sea Glass Green. Maris is the Fraser Valley Distributor for FAT Paint. Maris's Facebook included a link to the creators of FAT Paint (Facebook) which links to Victoria's blog, Edin's House (she is the co-creator of FAT Paint along with her brother Brad). 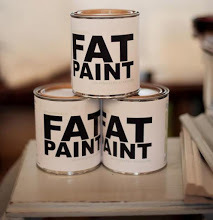 Edin's House has several posts describing and showcasing FAT Paint, this link is on her Merritt Workshop. Image borrowed from Victoria's Edin's House Facebook page. I also borrowed Victoria's paint chart (also on Facebook). 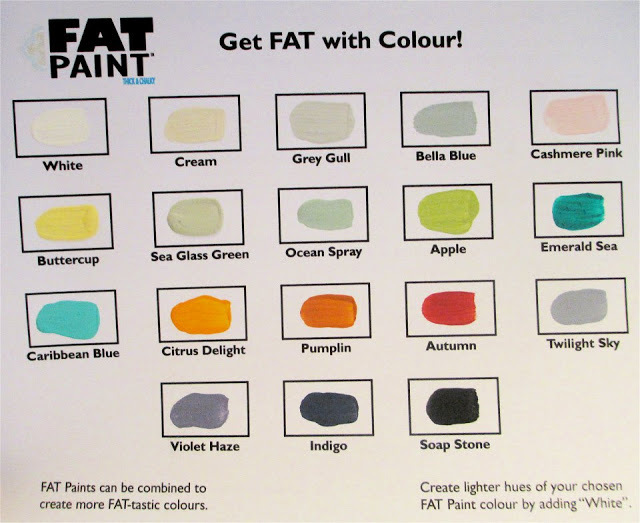 Here is Victoria's Contact page if you are interested in FAT Paint. This is my unsolicited review of a FAT Paint. The color is great and the chair turned out wonderful. Nice chair... Green paint? Perfect for you. The chair looks excellent! Beautiful job. Have a great weekend! I just used Annie Sloan Chalk Paint on a bench. Now I learn about FAT Paint and in another post about Miss Mustard Seed Paint. I have some more projects in mind so I will have to try the other paints now. Great job and thanks for joining us at Cap Creations this week! Thanks for the information on FAT paint, Joy. 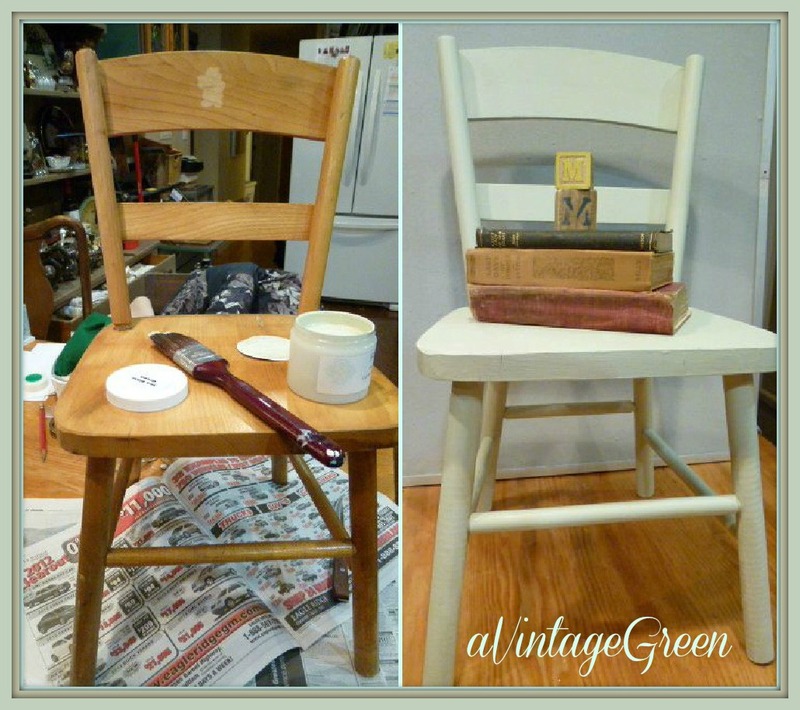 I have yet to try chalk paint - I know, I'm really behind the times! But I have to repaint the furniture in our bedroom and I'm thinking that chalk paint might be the way I go. Thanks so much for joining in this week! 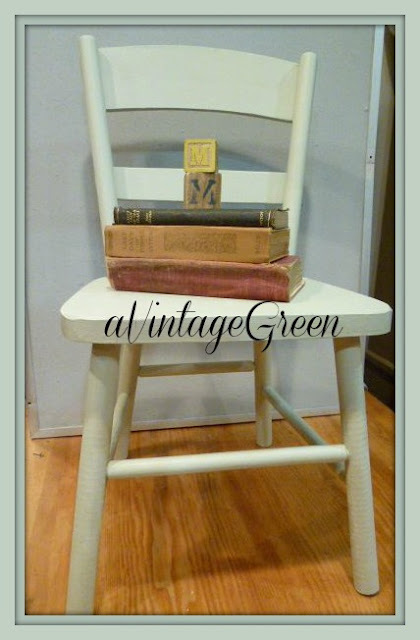 I love chalk paint too. I am still painting my kitchen cabinets with my homemade chalk paint. One of these days when I finish I will show them off. Don't get too excited, because it may be a new century before that happens lol. Have a fun weekend and keep painting!! i've never used that kind of paint. It looks wonderful. The green is beautiful. I have never heard of FAT paint. Is it available in the US? I usually just mix my own chalk paint. Hi Donna, you could phone the number in this blog (on the FAT Paint container 'cause I don't know. I usually mix my own too. Thanks so much for sharing this wonderful fat paint tutorial on Simple & Sweet Fridays. Love the color! A wonderful tutorial. Thanks for sharing it at TTF! That looks like a lovely colour with great coverage. I had not heard of it before your post. Great colours, but the Ocean Spray really appeals to me.